As you may know from my previous post I went to Vancouver yesterday with my mom to go birthday shopping. I got enough things to show you my haul, so that is what i'm going to be doing! If you read my Vancouver shopping inspiration post, you would've seen that I mentioned that I wanted to get a silk black bow from American Apparel. They don't have the silk bow on the website so I was happy to see that it was actually in store! The long sleeve white crop top seemed like it would be a good piece to be able to wear on lazy days where I still want to look some what put together. At first I didn't know if I really even needed these because I wear my AA riding pants as leggings, but those aren't as comfortable since they are high waisted and the material is a bit thicker. I am actually really happy I got these because they are suuuuper comfortable and will be nice in the fall with a sweater and boots. I am really surprised that I didn't get very much at Forever 21, but I did find the striped crop top I was on the hunt for! Also 2 necklaces that will be easy to wear with anything. I tried these shorts on and fell in love with them, they did fit a little bit tight though and there were no bigger sizes available. So my mom ordered the bigger size for me online and i'm super excited for them to get here because they are so cute! I went into Sephora to get my friend her birthday present (her birthday is the day after mine so happy birthday Austyn!) and since it was my birthday I got a free gift because I have a beauty insider card! I already have the full size of the mascara which I love and i'm excited to try the watts up hilighter. Whenever I go to old navy, I either get the super cheap flip flops or a comfy t-shirt. The shirts are super soft and fit really nicely, but I wanted mine to be a bit bigger so I got a large. Usually when I buy something a bit bigger it will still hug me a little and look weird but this shirt doesn't... so yay! Now the store that I totally scored at, H&M. First of all, the cat skirt, it is the perfect length and well it has cat heads all over it. The grey sweater is really loose fitting and I thin so I think it will be perfect for those days where its not hot but its not cold. I also love the polka dot shirt, the material is thick and good quality so it fits pretty much like the American Apparel circle skirt, but a quarter of the price. So there was my Vancouver haul! 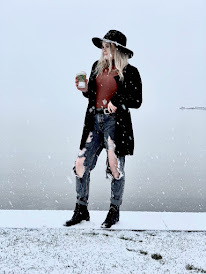 I am also hoping to order some things off of the Brandy Melville website (but I am not sure yet) because we didn't get to go there or Topshop. Anyways, thanks for reading! 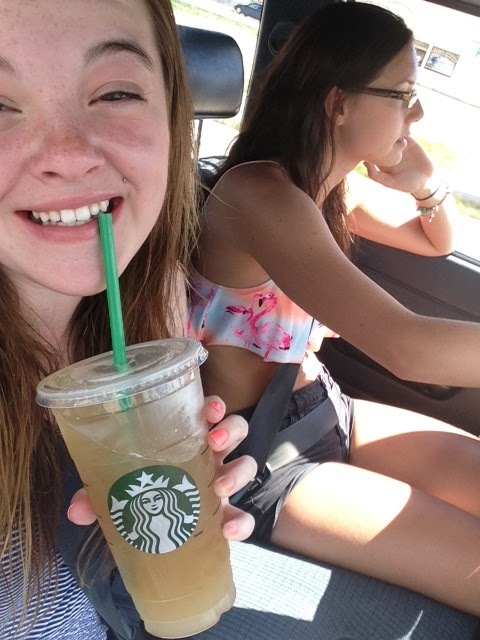 Thursday is my birthday so me and my mom are going to drive 4/5 hours to Vancouver to go shopping. This will probably be a good time to do school clothes shopping aka hunt for fall clothing. It is the middle of the summer but I do hope that they have some fall clothes out already. Anyways, these aren't exact items that I want just a general idea of some things I would like to keep an eye out for! The stores i'm hoping to find things in are Forever 21, H&M, Zara, American Eagle, American Apparel, and more! After a long time of searching I found these capris for only $3! I thought these would be perfect because they are high waisted and have a draw string in case they end up being too big. Now that I have my pants, let's start cutting! You want to first try on your pants and determine where you would like them to be cut off. Now start cutting on your line until you hack off a whole pant leg... But do be gentle while cutting, we don't want any jagged edges. Once you have cut off one pant leg, fold the pants in half so that the waist is perfectly lined up, this is important if you want your shorts to be even. Yaaay, you now have shorts! 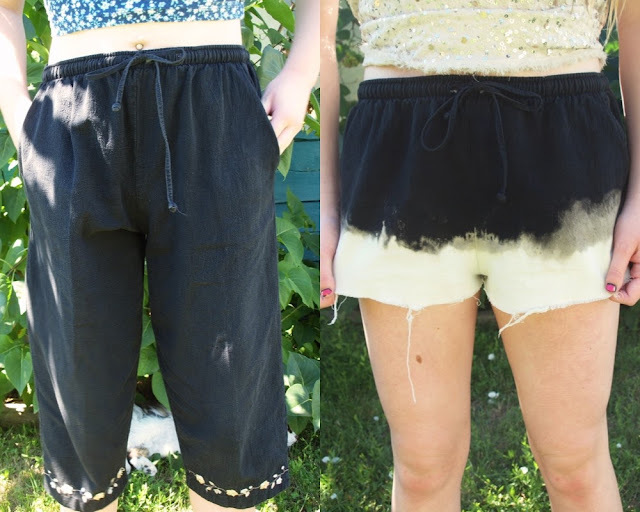 Into a medium sized bucket, pour in one part water and 2 parts bleach and soak 1-2 inches of the bottom half of your shorts depending on how long they are. Wait about 5 minutes and your shorts should start looking lighter on the bleached areas. 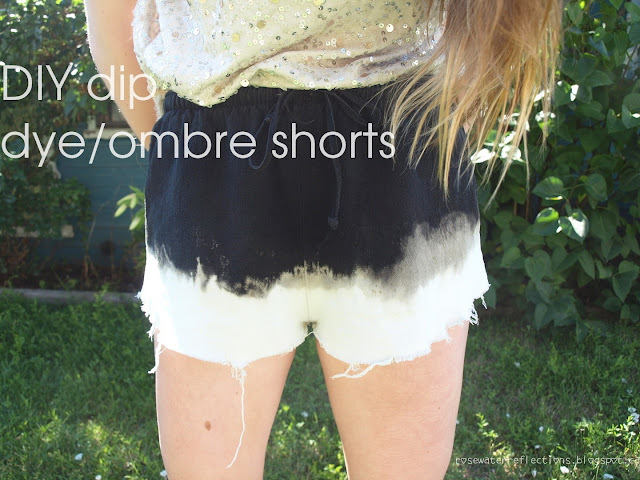 If you want your shorts to be a bit more blended, you can dunk another 1-2 inches of your shorts into the bleach for around 2-4 minutes. This all depends on how light you want the bottoms of your shorts to be. I SUGGEST BLEACHING OUTSIDE-- on concrete. After the bottoms of my shorts became light brown, I hung them up to dry in the sun for 15 minutes... 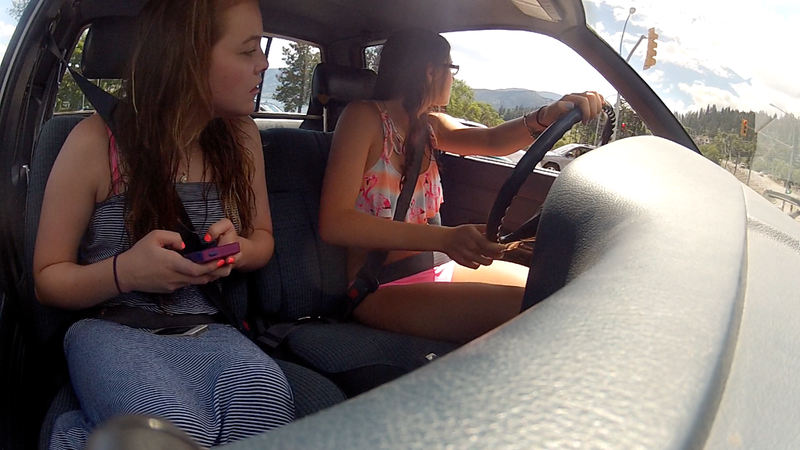 I don't really know why I did this, but I do think the sunlight helped achieve the white-ness in my shorts. Now wash and dry your shorts and you are ready to wear them! Thanks for reading. I posted this on my pinterest and it would mean a lot if you were to repin it, you don't have to, but if you would like to that'd be great! It is incredibly hot outside and I've found that there are some things i've been using a lot more recently because of the heat. 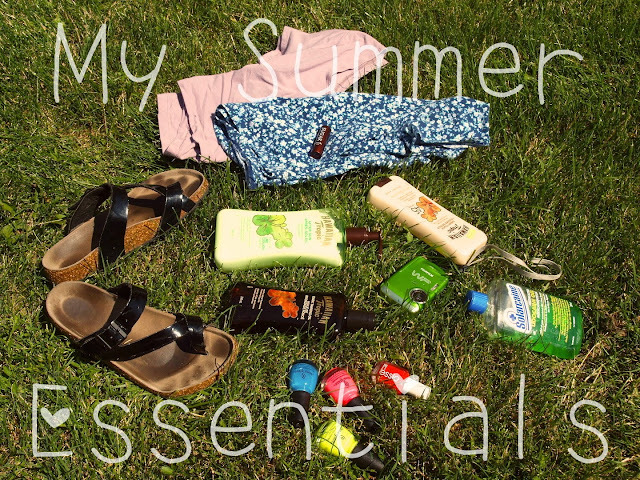 So today I am going to share with you some of my summer essentials and a few pictures near the end of how i've been spending my time in the sun! On the last day of june I got a horrible sun burn, so bad that I had to stay inside and do nothing for a few days. My burn is still a little bit noticeable but the pain has gone away thanks to aloe vera gel! (though this is lidocaine gel, it still works the same) This should be a must for everyone in the summer because sun burns are horrible and aloe vera makes it just a bit more bearable. Comfy flip flops or sandals are perfect for the beach because you'll be walking around in hot sand or pointy rocks and you want to keep your feet protected! I got these sandals from the brand Joe which they sell at superstore and I actually have 2 other colours because I love them so much! They may not be the cutest things around but they are so comfortable and I don't mind getting them wet. 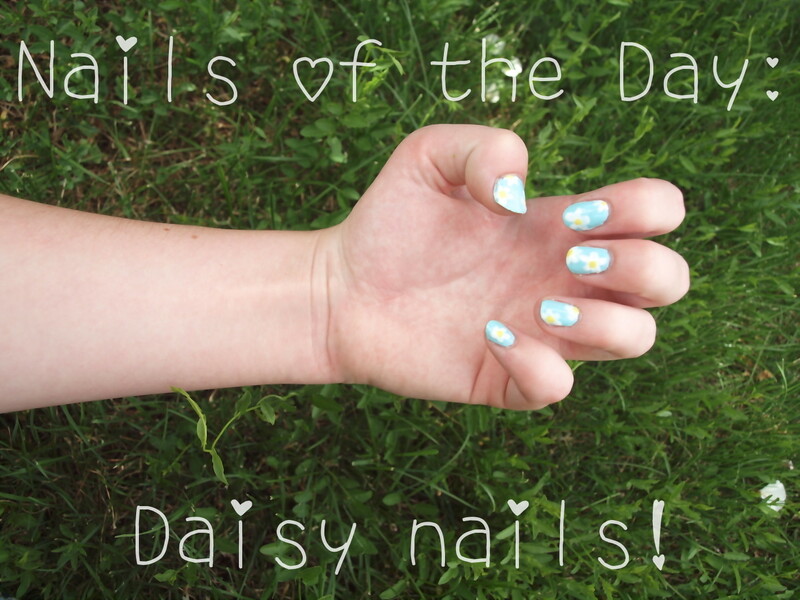 Neon nail polish is perfect for the summer because it glows in the sun and makes your toes look fabulous. 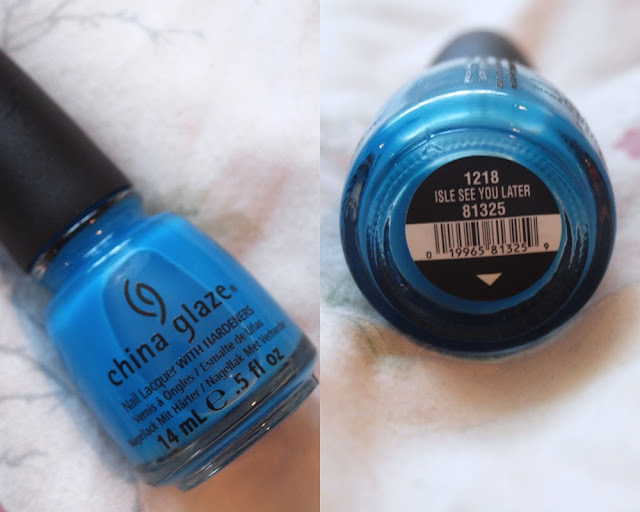 If you read my miscellaneous haul blog post you would have seen that I mentioned 2 of these colours and that I said China Glaze has the best neon polishes-- which I still stand by. I've talked about these Garage crop tops far too many times so it's pretty obvious that they are an essential for me. After sun lotion - If you have a sun burn I would recommend aloe vera instead of this lotion since it doesn't work as strongly. But it is good after a long day of being in the sun and if you need a bit of moisture back in your skin. Sheer touch sunscreen - I hate getting sunscreen in my hair so this is perfect, I just apply it with my hair up and wait for it to sink in for about 2 minutes until I can take my hair down and it wont get greasy! I prefer to use this sunscreen if I know i'm not going in the water or I won't be going in long because it isn't waterproof. Tanning oil - I like to tan but I don't like to burn, so instead of sitting out in the sun with no SPF at all I like to know I have at least a little bit of protection with a tanning oil. I love anything from Hawaiian Tropic because everything smells so good, even the sunscreen! Here are some pictures taken with the camera. And here are some other random pictures. This looks like one of my grade 5 selfies and I kind of like it. Maybe next time i'll make sure to have pictures in a different post because I didn't think I had this many I wanted to include. You can never have too many comfy shorts to lounge around in in the summer! This pattern really excited me, and I think the shape will look so cute with high waisted shorts! Since I started working out more often I thought a sports bra would be a good thing to buy... I'm wearing it right now and its super comfortable! But it is kind of thin so the padding is very obvious when you are wearing it ha. Chatters was having many buy 2 get 1 free sales on different brands and china glaze was one of them. I got this colour because my mom really liked it and I think it will look nice on summer toesies! 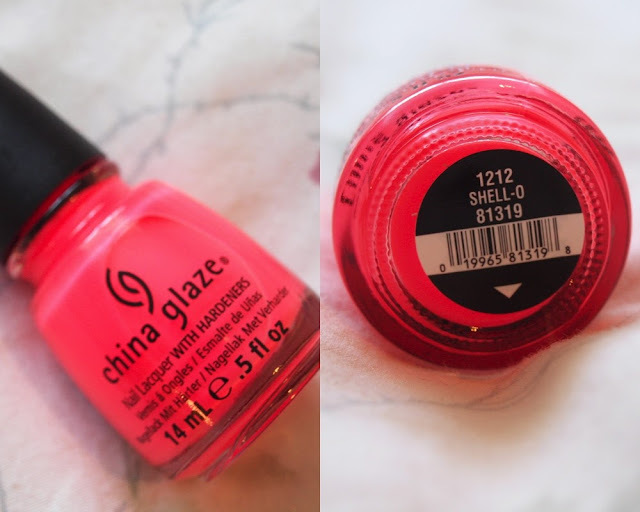 China glaze is very popular for their neon polishes and they came out with a new neon collection for the summer. I just painted my nails with this colour and it is so bright I love it! 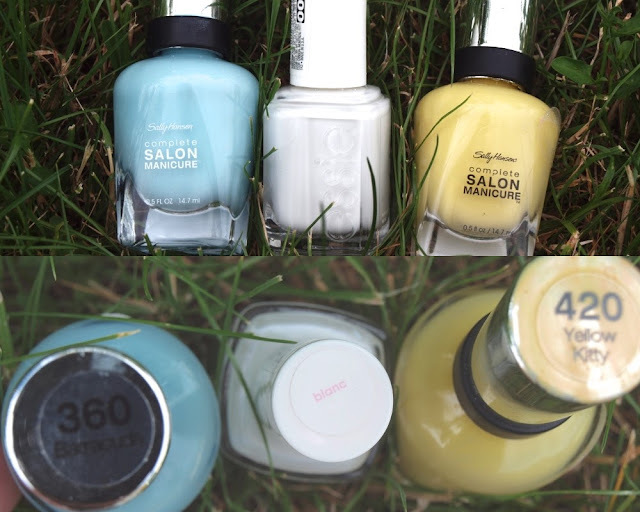 Sadly the colour pay off is horrible, I painted my nails with 2 coats of white, and then about 3 thick coats of this polish to get an opaque look. My last item is from the neon collection again and I did the same thing as the neon coral but with this on my toes. It honestly isn't as neon as I hoped for but it is still a gorgeous colour. There was my haul I hope you enjoyed, now i'm going to go tend to my burn which seems to be getting unbearably itchy.